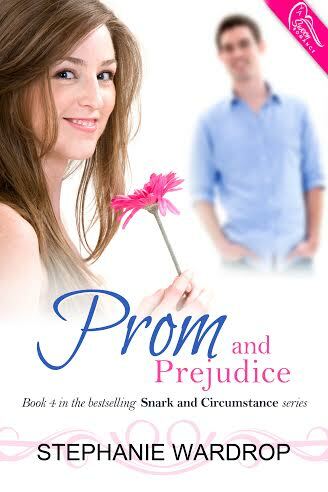 Prom and Prejudice by Stephanie Wardrop — book cover spotlight! How’s it going? All good, I hope. Today on the blog I have the absolute pleasure of featuring the fantastic cover of Stephanie Wardrop’s new novella, Prom and Prejudice. This is the fourth book in the fabulous — not to mention bestselling — Snark and Circumstance series. This series has been amazing so far and I can’t wait to get my hands on the last book. I’m a big fan of Stephanie’s. Posted by bookishblurb on April 1, 2014 in Buzz.